Beautiful jellyfish, medusa in the neon light with the ripples. Ocean with pink jellyfish and water surface. 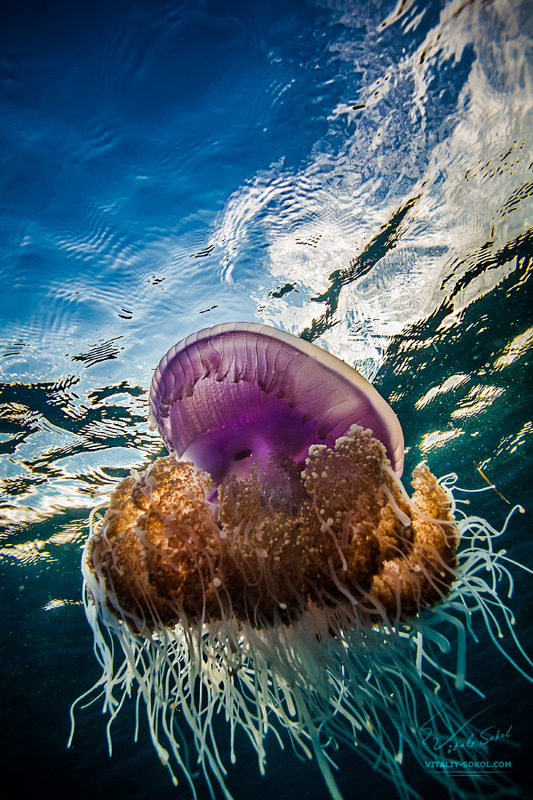 Underwater life jellyfish in ocean. Индийский океан, Ари атолл, Мальдивская республика.